After Xiaomi Re 1 flash sale which was held on their official site from 17th-19th October 2PM, now they got tough competition from OnePlus brands from their own country. Oneplus the major smartphone selling foreign company in India is all set for Oneplus Rs 1 Flash Sale. This is happening on this year diwali sale, this oneplus Rs 1 flash sale will take place in their official e-commerce site. 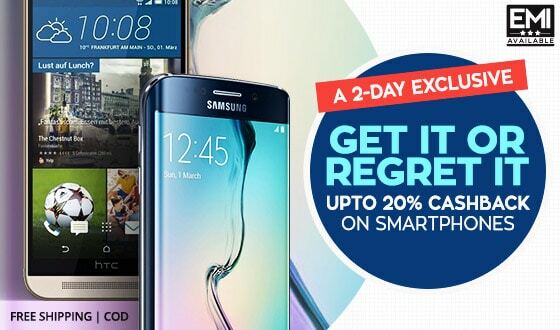 Now they are all set for this mega oneplus Rs 1 flash sale, here are the trick to get every products @ Re 1 from OnePlus Rs 1 flash sale with the flash sale dates & timing. That will confirm the entry from our side, all you need to do is just visit the oneplus rs 1 sale page on the sale time. The Diwali Dash Sale takes place at 12PM,4PM and 8PM (IST) each day during Oct 24-26. To participate in the Diwali Dash Sessions,complete the Entry Challenge beforehand. At the beginning of each Dash Session, a batch of Rs 1 Mystery Boxes are released through a lucky draw. The Dash Session ends when all Boxes are exhausted. Now it’s all set, when you visit the oneplus rs 1 sale page, you will notice one pop-up. You may keep drawing until you draw a Box,or until all Boxes are taken. There is a brief cool-down period after each draw. Each OnePlus Account is eligible to receive a maximum of one Box only. Contents of the Box are revealed once you complete your payment of Rs 1. Unpaid for Boxes expire after three hours. 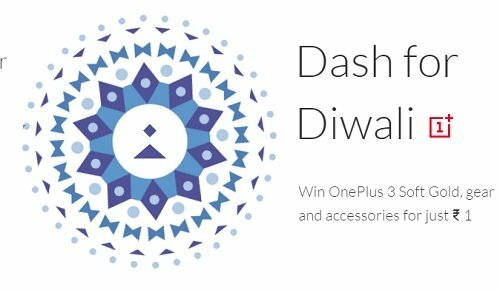 For products sold at Rs 1 during the Diwali Dash Sale,oneplusstore.in return policy is not applicable. OnePlus &Mobitech Creations reserve the right of final decision on the interpretation of these Rules. Collected data may by used at oneplusstore.in or oneplus.net. Please watch this space, we will be updating the script here before sale date (24th Oct).